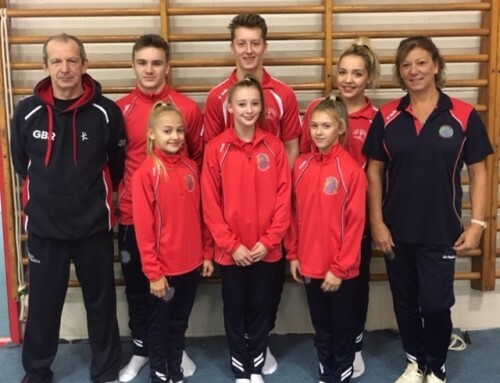 SOUTH Gloucestershire high-fliers King Edmund Gym Club are gearing up for an extra special Christmas. 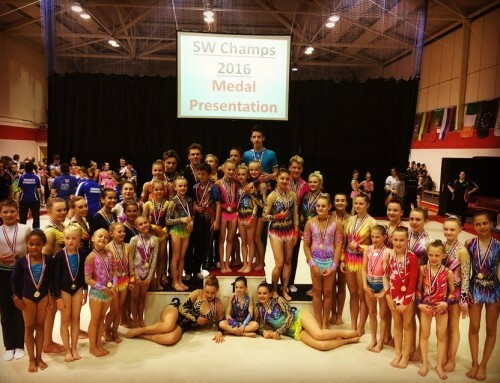 The enormously-successful Yate-based acrogymnastics organisation are linking their annual festive displays to 35th anniversary celebrations, with spectacular sell-out shows on Friday and Saturday December 9 and 10 respectively on the agenda. 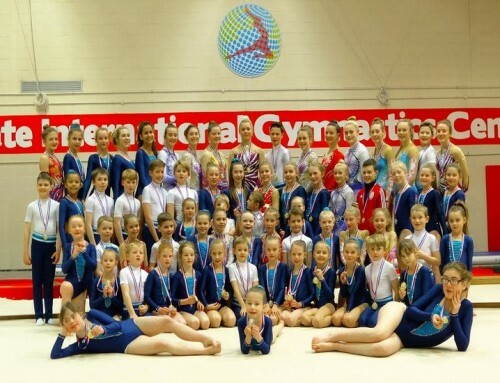 More than 100 of the club’s rising and established performers, from six-year-olds to those in their late 20s, will perform to packed houses at the impressive Yate International Gymnastics Centre within the town’s leisure complex, which will be attended by well-known local dignitaries. Among the intrigued onlookers will be a 140-strong collection of King Eddies’ international and domestic medal-winning stars from bygone years, including Cheryl Wilcox who in the early 1990s, in partnership with Robert Barton, became the first world champion Great Britain had ever paraded in the increasingly-popular sport of acrobatic gymnastics. King Edmund GC’s annual presentation night will follow the Friday performance while Shire Way Community Centre will play host to more anniversary celebrations on the Saturday evening once the two shows scheduled for the day are over. Club manager Mark Thorne enthused: “It really has been a meteoric rise since the whole operation began at King Edmund School in the early eighties with about 20 kids using judo mats to practise on. “It’s an evolvement on a scale none of us could ever have dreamt as we’ve gone from those humble beginnings to having around 1,400 members all partaking at various levels and in classes to suit ages and abilities, and to winning awards such as the South Gloucestershire Community Club of the Year. “While so many, like Cheryl, have gone on to win hardware at the highest level, the dedicated coaches and staff who have acted as a driving force have rightly been recognised of late for their achievements. 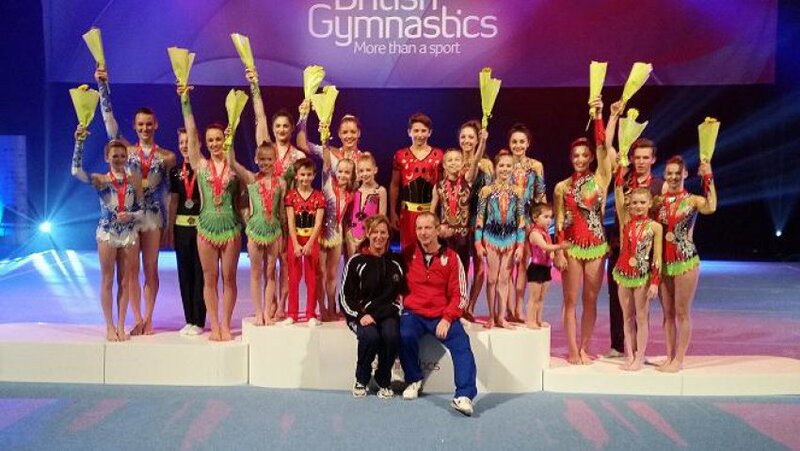 “Our founder member Tony Wills recently won an Outstanding Services to Bristol Sport accolade at the Bristol Post sports awards while his wife Jan, who was also right by his side from the club’s formation, was in receipt of an Award of Merit by British Gymnastics for her tireless work and devotion to the project and gymnastics in general. “Of course none of us will forget Shanie-Redd Thorne and Danielle Jones becoming the first club and Great Britain pairing to win a gymnastics gold of any description at the World Games in Colombia in 2013.